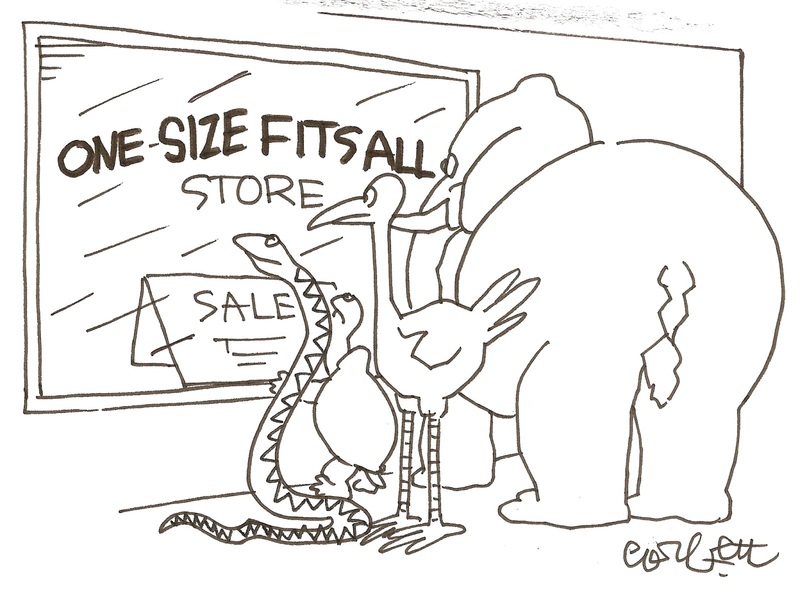 No, One Size does Not Fit All - I Love ABA! ABA therapy is a treatment that must be individualized in order to be effective. The needs of the individual learner is what should steer the strategies and methods used, and not what is easiest or most practical for the professional to implement. There are many benefits to creating a system of instruction, primarily being able to help special learners access a curriculum. Just imagine your local school district if it did not have any special education classrooms. Where would the learners go who, for whatever reason, can not access the general education curriculum? Who would teach them? Actually, not just ok, but that’s how it should be. Say it with me class: ABA interventions must be individualized in order to be most effective. 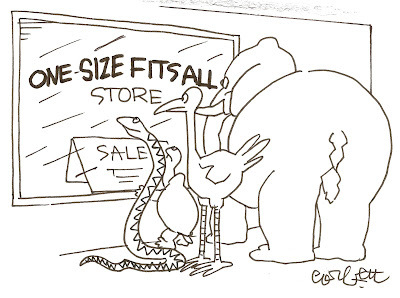 ABA therapy should never, ever be “one-size-fits-all”. My clients can be the same age, with the same diagnosis, they may even have similar ABLLS-R or VB-MAPP profiles, and yet their treatment plans can be totally different. As the ABA professional, your assessment tools and intake/interview process (i.e. the concerns and goals of the family) are predominantly what guide your decision making: What short term goals do the parents have for their child? What about long term goals? What are the child’s most highly preferred items or activities? What behaviors are interfering with the child’s ability to learn? Is the child in school or will they begin school soon? If so, what skills does the child need to learn to be successful in a classroom setting? What training do the parents need to help them in the home? What about adaptive functioning, community training, social skill development, etc. The treatment plan is a delicate balance of what the family requests help with, and what you as the professional put forth as your clinical opinion. Since each of your clients are unique individuals, with unique needs, coming from unique family systems, why would all their programs be the same? If you find yourself creating one type of treatment plan for ALL early learners, and one type of treatment plan for ALL advanced learners, something is wrong. 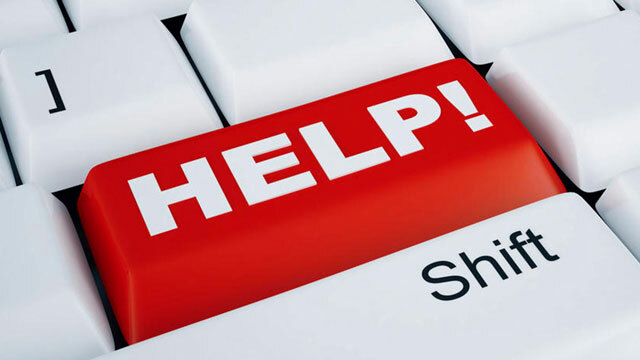 It is fine to use and create templates for ease of programming (no need to reinvent the wheel), but once you pull out your template it then needs to be edited and revised to suit the individual learner. It is precisely this need for individualizing treatment that requires the use of highly trained staff who are receiving ongoing training and supervision. 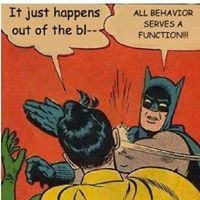 For people who have had bad experiences with ABA clinics, programs, or agencies, cookie cutter programming is usually to blame. It takes time (trust me, it takes LOTS of time), energy, and effort to design an individualized system of instruction for each learner, one at a time. 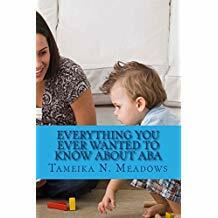 The companies or professionals who choose to take sloppy and unethical shortcuts, are a disservice to this field and the services they provide can NOT be called ABA therapy. The treatment plan should target a broad range of critical skill areas such as requesting, behavior reduction, labeling, following instructions, imitation, play skills, self-help skills, etc. Generalization and maintenance of skills learned is embedded into teaching, and teaching occurs across individuals, environments, stimuli, etc.